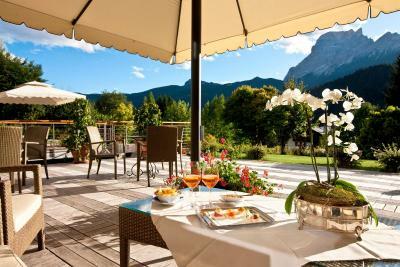 Lock in a great price for Parkhotel Ladinia – rated 9.3 by recent guests! Should i start with the amazing super helpful staff and owner? 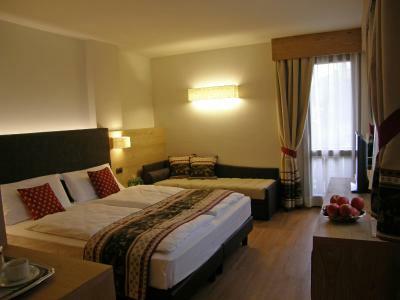 Or the amazing super clean room with all the amenities or the amazing breakfast?? Their spa/pool is magnificent. 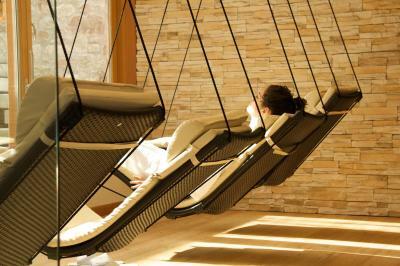 It has a silent room with hanging chairs, the garden as well as the room have an marvelous view on the mountain from both sides.I MUST SAY, IT TAKES ALL THE STRESS AWAY. 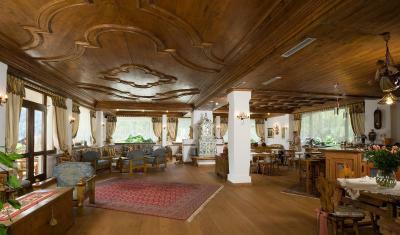 Cortina is the busy center but it’s recommended to stay at parkhotel ladinia for the calm and the amazing hotel. It’s 3 mins away from the bus stop. We stayed in the relax junior suite which has amazing interior (large places, unique wood design, fireplace, relax area on the second floor, etc). Beautiful view from the room. 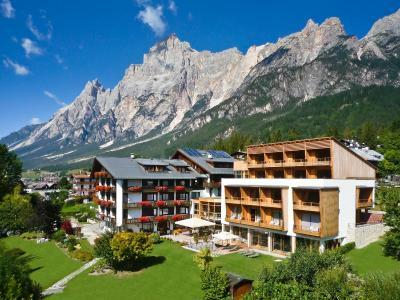 Nice location for skiing, the large Cortina sky area is only 10 minutes drive. Very helpful and kind staff. Incredible service from the moment we got there. Nothing was too much trouble. Definitely recommend the Junior Suite split level for wonderful views. Worked out well staying at the next town out of Cortina - much more reasonably priced. It is a very nice place, good location and friendly staff. 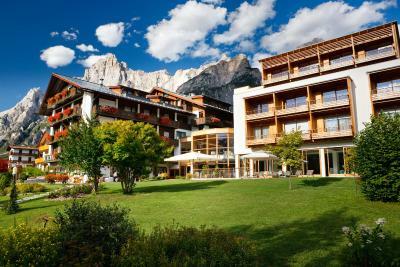 Beautiful hotel just a few minutes walk from the Cortina center. 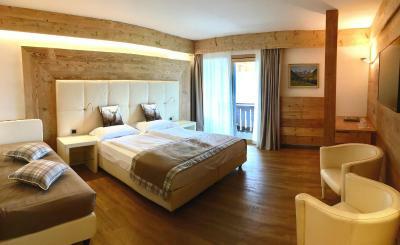 The room is very nice with views of the Dolomiti. Cleanliness, attention to detail and courteous and efficient staff. Excellent value for money. A very pleasant stay, very very recommended! Amazing hotel in every detail. 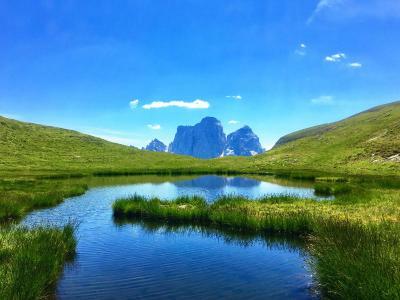 Nice location for exploration of Dolomites. 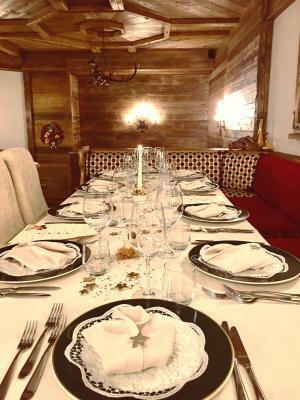 The location of the hotel is in a charming Italian village, skiing slopes nearby and for more advanced skiers possibility to go to Cortina d`Ampezzo 10 km away. 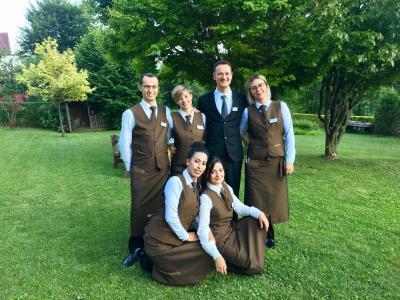 The staff of the hotel very welcoming and polite, will help to solve any issue, great SPA and swimming pool - an important tool if the weather conditions for skiing are not so great. The apartments very convenient for families, some contained two bathrooms. Try cakes from the nearby bakery across the street - amazing. 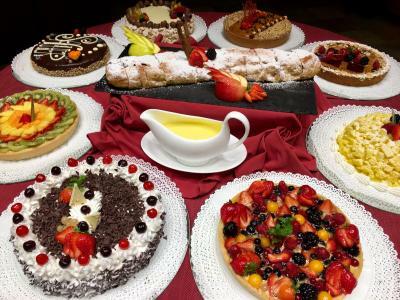 We would love to come back one day and recommend to stay in Ladinia hotel. 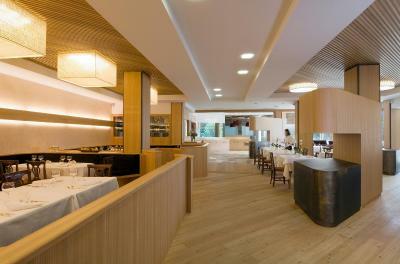 Excellent hotel in a great location in San Vito. The staff were really helpful and friendly, nothing was too much trouble. The room was spacious and clean with a really great walk-in shower. 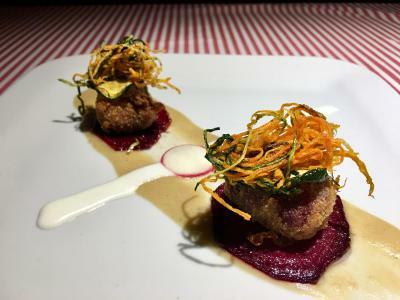 The bar and restaurant exceeded expectations, the food was amazing but there's also a number of really good local restaurants just a walk away. Very friendly and useful staff, great location, excellent services. Could see that the management really cares about the guests. 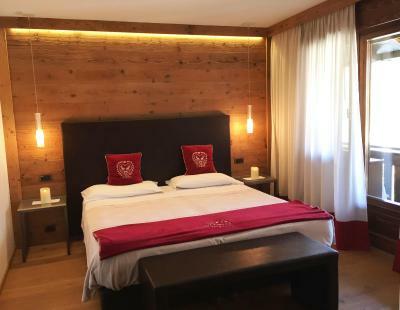 Parkhotel Ladinia This rating is a reflection of how the property compares to the industry standard when it comes to price, facilities and services available. It's based on a self-evaluation by the property. Use this rating to help choose your stay! 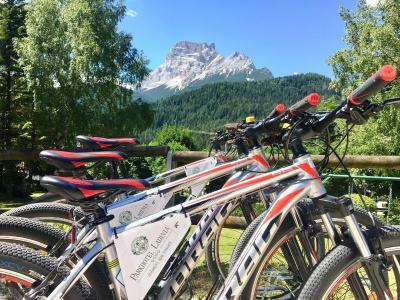 Parkhotel Ladinia is a wellness resort in San Vito di Cadore, 1,000 feet from the Donaria ski elevator. 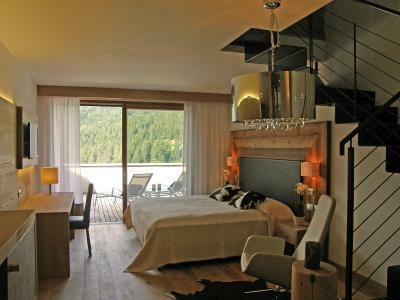 All rooms feature a mountain-view balcony and there is free Wi-Fi. 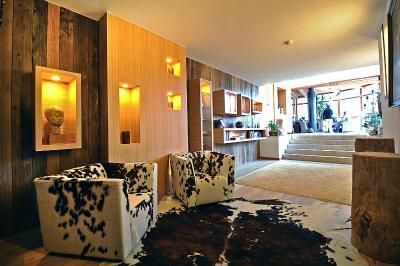 Room at the Ladinia features a classic, mountain style. 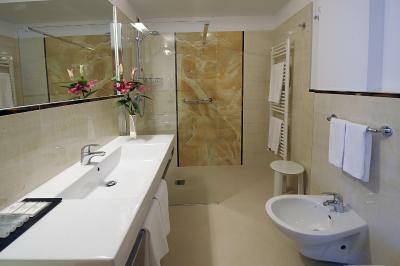 In the apartments, all bed linen and bath towels are included, as are all the facilities at the hotel. 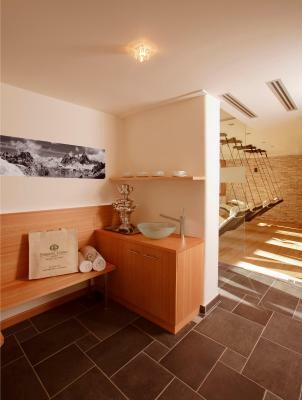 The free spa has a panoramic view of the Dolomites and features a sauna, hot tub, Turkish bath, and an indoor swimming pool. 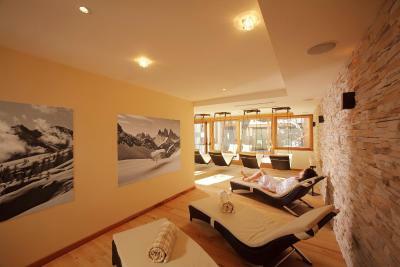 A gym and a range of relaxing massages is also available. 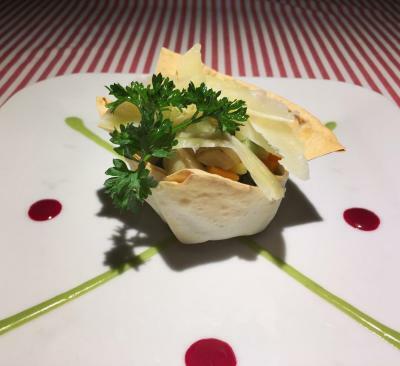 Parkhotel Ladinia's restaurant offers a varied menu of Mediterranean and local cuisine, and has been recommended in a number of restaurant guides. 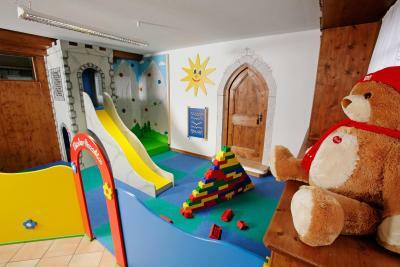 For children there is a colorful play room, plus a mini cinema and five-a-side football pitch. 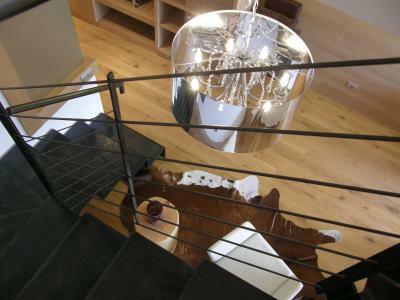 This property is also rated for the best value in San Vito di Cadore! Guests are getting more for their money when compared to other properties in this city. 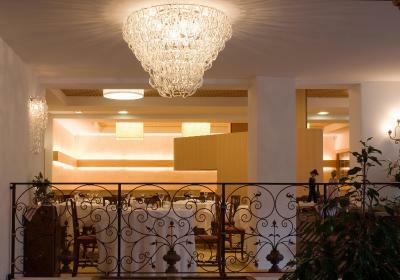 When would you like to stay at Parkhotel Ladinia? Mountain-style room with a balcony overlooking the surrounding landscape. 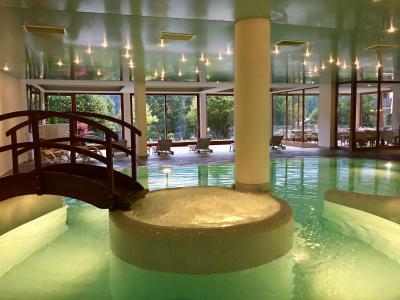 Rate includes free Wi-Fi and access to the Ladinia Spa with indoor pool, sauna and gym. 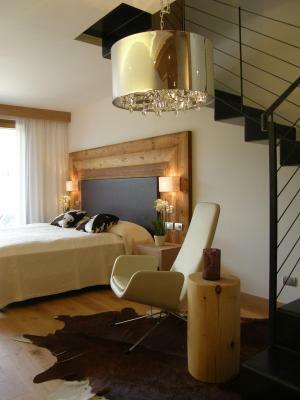 Mountain-style room with a balcony overlooking the mountains. 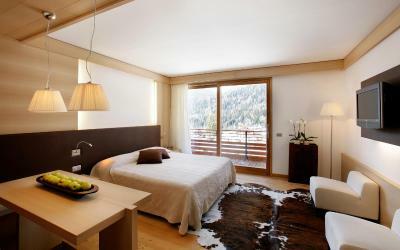 Spacious suite with refined furnishings, a spacious bathroom and a sunny balcony overlooking the mountains. With sofa bed and kitchenette in the living room. 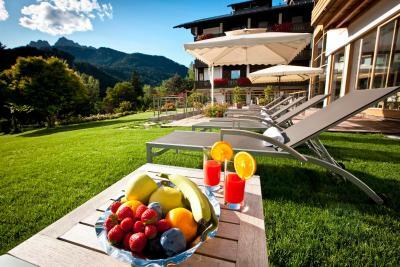 Includes access to the Ladina Spa with indoor pool and gym. Please note, daily cleaning is not included. When booking an apartment check-in starts at 16:00. With 2 sofa beds and kitchenette in the living room. 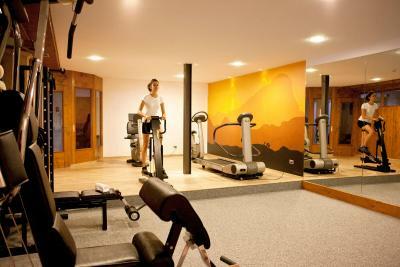 Includes access to the Ladina Spa with indoor pool and gym. Set on 2 floors, this spacious junior suite features a double room with bathroom, comfortable lounge area, and 20-m² private terrace on the lower floor. 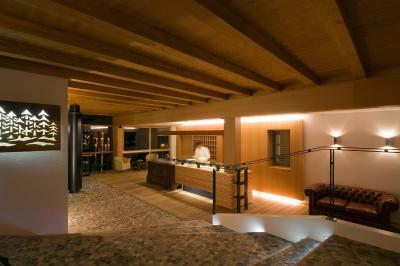 Upstairs, there is a twin room, a second bathroom and panoramic balcony. 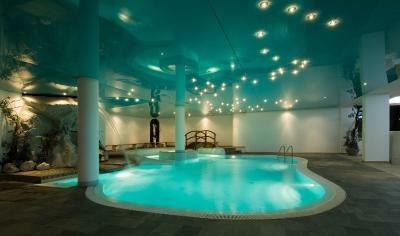 Rate includes free WiFi and access to the Ladinia Spa with indoor pool, sauna and gym. 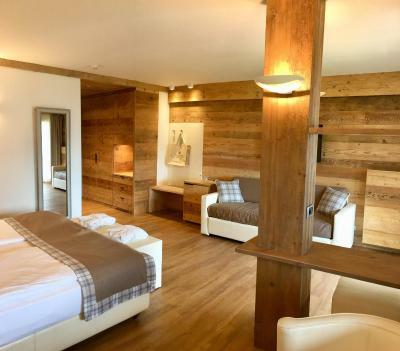 Set on 2 floors, this junior suite features a double room with bathroom, comfortable sitting area with electric fireplace, and 20-m² private terrace on the lower floor. Upstairs, there are a panoramic hot tub and a balcony. 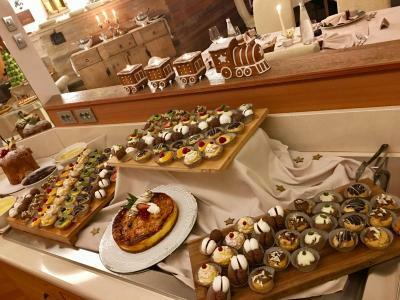 House Rules Parkhotel Ladinia takes special requests – add in the next step! Parkhotel Ladinia accepts these cards and reserves the right to temporarily hold an amount prior to arrival. Please note, when booking an apartment check-in starts at 16:00. No cleaning, or at least taking out of the garbage is provided. This brought a bit of disappointment. 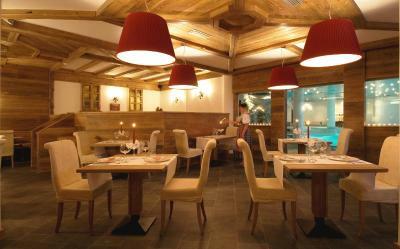 Very nice place, excellent food, very good spa.